BAR HARBOR, MAINE — The MDI Biological Laboratory has announced that it is providing incubator space and associated scientific resources on its Bar Harbor campus to Coagulation Sciences LLC a Riverdale, N.Y- based development-stage medical device company. 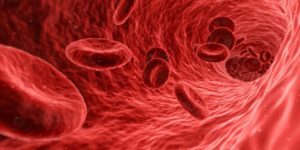 Coagulation Sciences is developing the Multiple Coagulation Test System (MCTSTM) to help hospitals minimize or eliminate unnecessary blood transfusions and their associated risks by providing information to physicians to arrest bleeding more rapidly. Michael Kagan, Coagulation Sciences’ director of product development, an engineer and Maine resident, hopes to establish manufacturing of the MCTSTM instrument and its disposable test cartridge in Maine. Kagan chose the incubator space at the MDI Biological Laboratory because of its location and the institution’s commitment to developing a vibrant life sciences ecosystem in Maine. Coagulation Sciences is representative of the trend toward personalized medicine, or the tailoring of treatments to individual needs. Current tests to determine if transfusions are needed are often non-specific or too slow to inform transfusion decisions. As a result, 30 to 40 percent of blood transfusions are unnecessary. The company’s automated analytical system will have the ability to determine within minutes if a coagulation disorder is truly present, and, if so, help define the nature of the problem so that the physician can make an informed decision regarding treatment. The MDI Biological Laboratory is an independent nonprofit biomedical research institution focused on basic discovery, translation of discoveries into technologies that improve human health and driving innovation and entrepreneurship through interdisciplinary research, training and network-building. The institution’s research and development activities are focused on regenerative medicine and its scientists are pioneering new approaches to treating devastating diseases like heart attack. Other innovative startups that the MDI Biological Laboratory has helped to launch and/or grow include RockStep Solutions, a life sciences-based software development startup; Anecdata, a data collection web application for crowd sourcing scientific and other types of data; and Novo Biosciences, the institution’s first for-profit spin-off, which is developing drug therapies to reactivate and stimulate the body’s innate healing abilities.